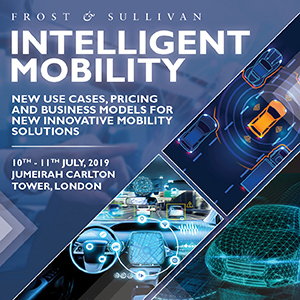 Introductory keynote – “A view towards the horizon: The mobility landscape today and a view towards the horizon.” 01 Shwetha Surender part 1 01 Shwetha Surender part 2, Mobility Industry Principal, Frost & Sullivan, London. Q&A. Future trends I – Tomorrow’s mobility. 02 Caroline Cerfontaine, Manager Combined Mobility, UITP, Brussels. 03 Alwin Bakker part 1 03 Alwin Bakker part 2, Founder and CEO Resultancy.nu – Consultancy in Future Mobility, Rotterdam. 05 Carlo Giro part 1 05 Carlo Giro part 2, Policy Officer, IRU Projects, Brussels. After the decision by the EU Court of Justice – What’s next? 07 Herwig Kollar, Board member German Taxi & Private Hire Association (BZP). 09 Mike Galvin, COO Karhoo, London. Future trends III – Eco-friendly concepts. 11 Yann Ricordel, Chairman of Taxis4SmartCities/Taxis G7, Paris. “Part of a tradition, and specifically designed for London’s ULEZ: LEVC’s TX. 17 Simon Buggey, Policy Officer, Transport for London. Steve McNamara, General Secretary Licensed Taxi Drivers Association (LTDA). 19 Hein Maas, Independent government advisor, Vught.